The contractor thought they were ready for drywall. We had to have the insulator fill this space full with cellulose insulation as the workers were unable to install an air barrier on the inside walls. 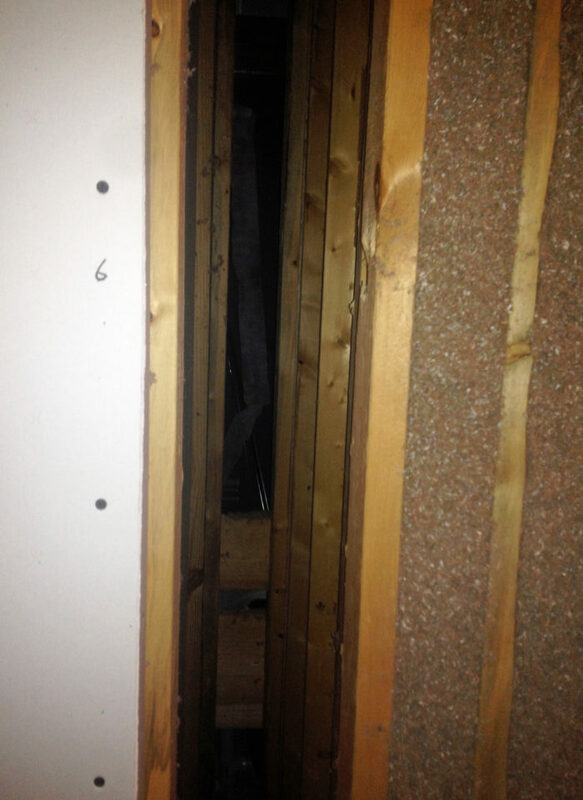 Image Credit: All photos: Carl Seville Blown cellulose wall insulation installed without netting is prone to damage before drywall is installed. This is becoming a common detail on wood-framed multifamily buildings. 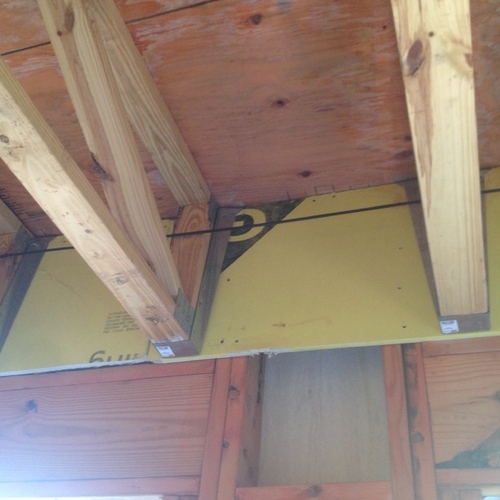 The architects and structural engineers seem to ignore the fact that the cavities they cover early in the framing stages need to be insulated. After a meeting with the insulation contractor, confirming that the batts would be installed as Grade 1, this is what we found on site at our first inspection. As Rod Steiger said in Cool Hand Luke, "what we have here is a failure to communicate." Inspectors required the contractor to cover the sprinkler pipes with polyethylene and to leave the insulation out below the pipes to allow room heat to keep them warm. That and the hat channels make it impossible for the insulation to be in contact with the drywall air barrier below. 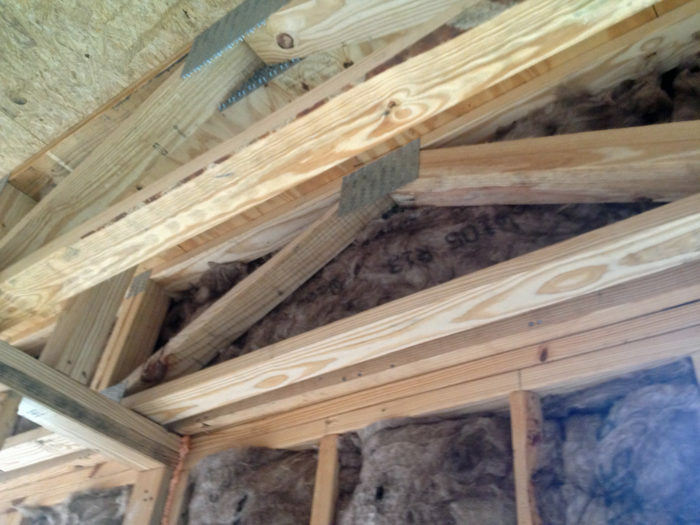 Trusses in rim joists are notoriously challenging to insulate with batts. In this situation, the floors are to be filled with blown fiberglass, yet the wall installers went ahead and stuffed batts in the rim. They would have been better off leaving them out. This roof cavity was supposed to be blown full with insulation, but as can be seen at an elevator shaft, the insulation did not quite make it. 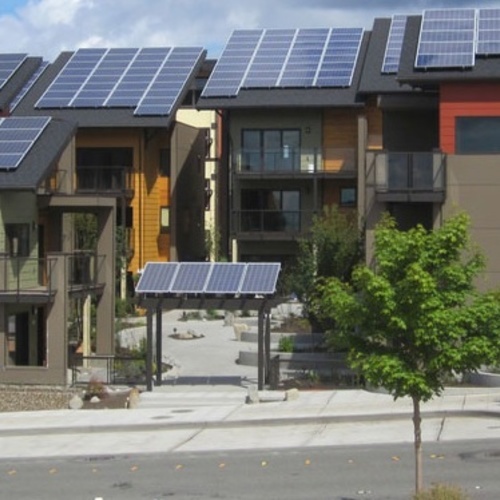 Although I spent most of my construction career working on single-family homes, the primary subject of this great website, I find that my current work involves primarily multifamily projects — mostly low-rise and mid-rise apartments that are seeking green building certification. 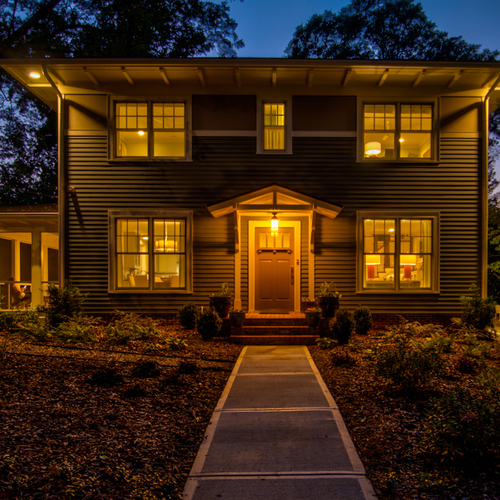 In these projects, my partner and I continue to see both new and recurring problems that are not resolved in the design phase, only to be pushed down to the field to be figured out — on a tight budget, in a hurry, and often in the cold or rain. 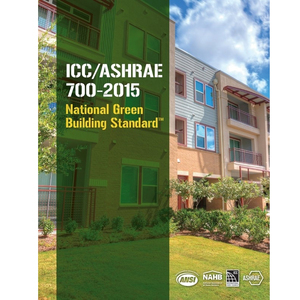 Our first task when signing up to provide certification work for a multifamily client is to review the plans, identify building envelope issues, and communicate these issues to the entire team through marked-up plan details. If we’re lucky, we catch most of them before we get on the job site. If we’re very lucky, someone pays attention to my markups and actually figures out how to resolve the problems. Unfortunately, we haven’t been very lucky recently. 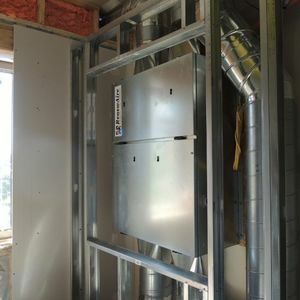 There are design details that require sheathing walls with drywall for fire ratings before insulation can be installed, since there is no roof on the building. Buildings are designed with all sorts of chases without noting on the plans that they must be insulated and sheathed with an air barrier. Issues such as these are often missed in both design and estimating, ultimately filtering down to the field where the some of the lowest-paid workers — workers who don’t get to sit in a nice comfy office — are left to figure out how to resolve them. Then there’s the not-infrequent situation where air barriers that are shown in plans are not installed in the field. 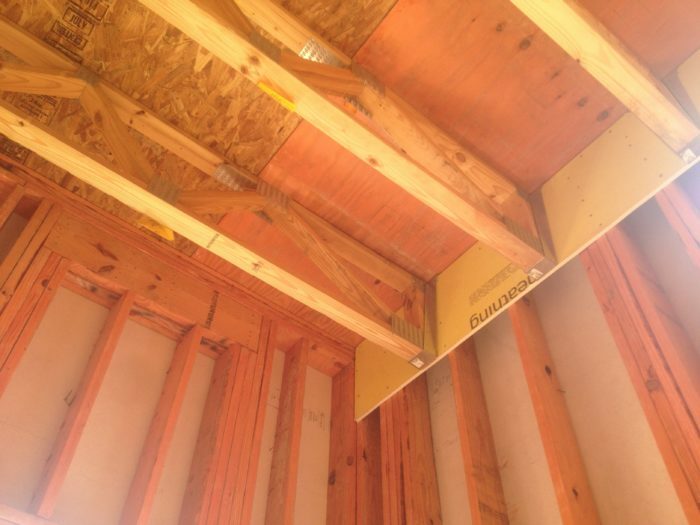 On one recent project inspection, we discovered that exterior sheathing shown on the drawings between a framed wall and a concrete garage wall was not installed. It was a challenge, but they managed to get it installed before insulation. Does insulation pricing, grading, and installation exist in parallel universes? 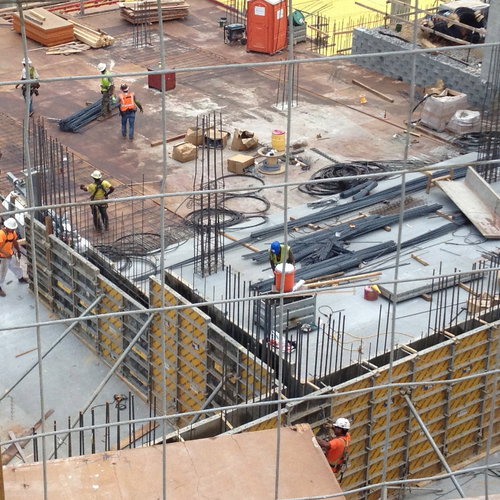 On all our projects, we schedule a pre-insulation meeting with the contractor and insulation subcontractor. We specifically request that installers attend this meeting to go over proper installation techniques; however, the installers are rarely there. The insulation supervisors promise us that they are capable of Grade 1 installation and agree to all our requirements for doing so. When we are called out for our first pre-drywall inspections, inevitably no one has communicated the grading requirements to the installers, who, typically paid by the piece, are stuffing and jamming as fast as they can. Then they have to come back and redo most or all of their work. We don’t blame them for the problems, as expectations are rarely set with them in advance. We also strongly recommend that installers use blown in cellulose, fiberglass, or foam in stud cavities that are packed with pipes and wires, as it is almost impossible to meet Grade 1 in these areas. This suggestion is usually ignored, and only sometimes followed after numerous reinspections of the same areas. One popular technique we have seen recently involves blowing the attic under a flat roof full with cellulose or fiberglass. This is far superior to using batts in ceilings, but does still have its issues. Some of the problems with this design are due to the difficulty of filling a 3 foot tall space tightly with insulation — you can only get so far into the space with a hose before you run out of room. The insulation often doesn’t go quite to the roof deck, leaving a small- to medium-size air space. We are not sure of the long-term implications of this, particularly since there is usually rigid insulation on top of the roof deck, but it does leave some gaps in areas such as shafts that need extra attention. Another problem we see with blown ceilings is the use of metal channels below the framing to level out the drywall and avoid any bowing between trusses. 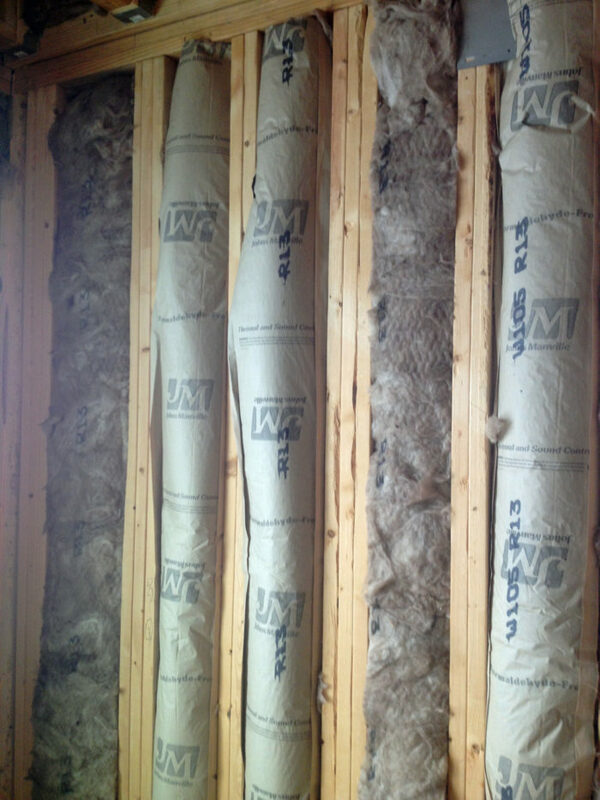 This leaves an air gap between the insulation and the drywall, violating one of the key principles of the building envelope: insulation must be in continuous contact with the air barrier. 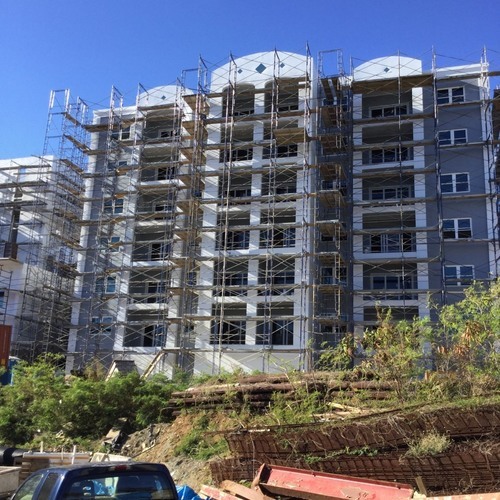 One recent project used blown cellulose in walls between units and unconditioned corridors (yes, we can do that in the South). In this particular installation, they installed a wet-spray application, leaving the insulation exposed until drywall was installed. We find that this application is very prone to damage, frequently seeing large sections of insulation falling out or being knocked out by other trades, particularly the drywall loaders and installers. We are coming to the conclusion that all blown wall insulation, except spray foam, should use netting to keep it in place without any damage. One more strange detail was the installation of batts in rim joists before ceilings between floors were to be filled with blown fiberglass. 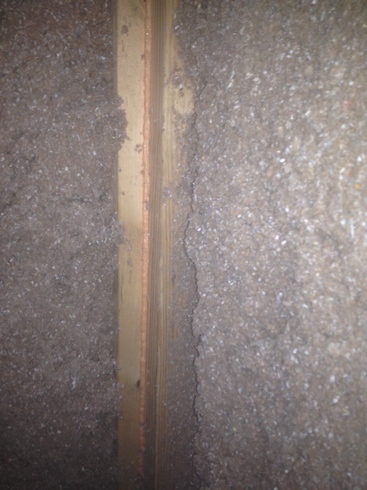 The batts were not carefully cut, leaving gaps between the sheathing and the insulation. Had they not installed them at all, the blown insulation would have filled everything nicely. The wall crews were either instructed to insulate — or, trying to be conscientious, just decided to insulate — the rims. 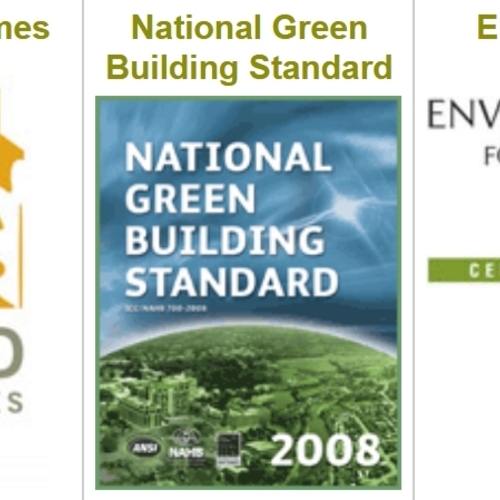 Little thought is given to the decisions made in the field, and in design and specification, to make sure the building envelope is high quality. Another wacky detail was created by the fire inspector on one recent project. As mentioned above, the flat roof was filled with blown fiberglass, to a depth of about 36 inches, with fire sprinklers just above the bottom truss chord. 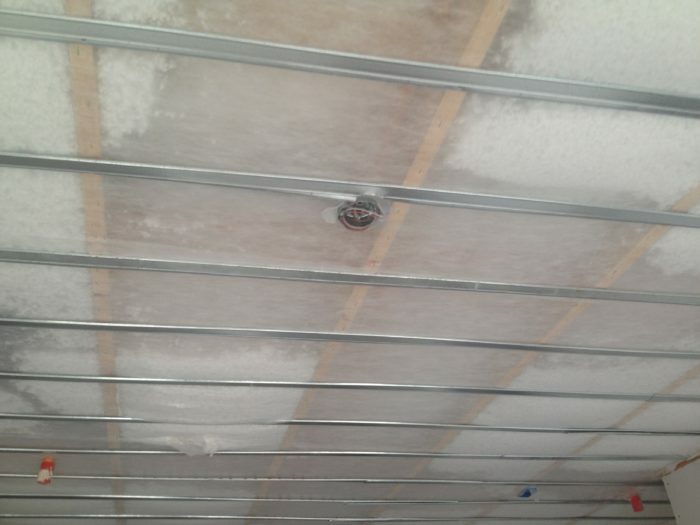 The inspector required the contractor to “tent” all the sprinkler pipes with polyethylene, creating a vapor barrier in the middle of an insulated ceiling, and required them to leave all the space under the poly uninsulated to allow room heat to flow up to the pipes to keep them from freezing. My partner, Abe Kruger, wrote an article on this subject in Home Energy magazine a few years ago. This seems to be a case where the code has not kept up with building science. It seems very unlikely that pipes in Georgia would freeze below about R-60 of insulation, and this application leaves large gaps between the drywall and insulation, again violating the key rule of building envelopes. Interestingly, another project in the same city with the same insulation detail was not required to tent the sprinklers. On some projects, the superintendants actually pre-check the insulation and air sealing before we inspect, making sure the work meets the required grade. We do appreciate the effort they make to do this. Unfortunately, on many projects they leave all the quality control to us, requiring multiple return trips on the same job, and often the same floor of a building, to confirm the insulation meets the required insulation grade. Field supervisors need to understand how to critique the installation. Some are getting there, but we are still coming out and finding installations that you can practically tell from across the street are not adequate. We continue to educate, and hope that our message is heard. Here is another example of stupid multi housing construction tricks. In the District of North Vancouver, BC, a "reputable" builder is building a new condo complex in Lynn Valley. To avoid putting in an expensive ventilation system, they were allowed to put a 5 inch diameter hole in the wall, with only a grill as a buffer between inside and outside. I was told it is supposed to remain open ALL the time. Did I mention that the condo units heating system uses the most expensive form of energy? So the condo owners are supposed to use electric resistance heating to heat the outdoors. The government wants us to build air tight homes but big, multi family builders are allowed to circumvent the rules. Obviously, Polygon has enough clout to persuade the building department that the hole is as effective as an engineerd ventilation system. It that's what happens with someone like Carl on the project, imagine how badly a typical project gets built.